This entry was posted in Fragrances, Leathers, Montale, Oud Fragrances, Perfume Review, Reviews En Bref and tagged Aoud Cuir d'Arabie, Aoud Cuir d'Arabie perfume review, Montale, Montale aoud, Montale Oud Cuir d'Arabie, Montale perfume review, Oud perfumes, perfume review by Kafkaesque. Bookmark the permalink. Very interesting I will have to try it. BUt I must say, I hate the bottle. It looks like a fire extinguisher. Heh, I hate their bottles too and it’s an admittedly shallow reason why I haven’t bothered to try any of their offerings yet. But it’s profoundly ugly to me. I read something recently from someone highly respected about how Montale and Fracas bottles were the epitome and ideal for perfume bottles. Ah, yes, it was Chandler Burr. He said those 2 brands had the best bottles for maintaining the life of a perfume because they were dark, opaque and shielded the scent from damaging light and heat. But, yes, Lanier is right: they look like fire-extinguishers. Personally, I think it’s kinda cool in an ultra-modern, minimalistic way but not so much as a perfume bottle, per se. I would never want to show that off on my dresser! That’s interesting, but it does make sense. I really like Tom Ford’s Private Blend bottles, which I think probably achieve a similar effect being very dark glass. They are probably my favorite bottles, stylistically. Well, TF or the Chanel bottles from the Exclusifs. They are very simple, but there’s something I find so beautiful about them. Although there’s probably an underlying psychological thing going on where I like them not because they are simple and elegant, but because I love what’s in them, and I extend my love to the bottles as well. I’m rather sceptic in terms of leather perfume. I love Cuir de Russie and Cuir Ottoman, they’re very acceptable for me, but other leathers are usually not my style. I didn’t review it sir but there’s no mistake I would call White Aoud a fluffy scent. It’s described as a feminine scent but I find it unisex. Definitely try it. That Aoud Ever I mentioned is also not a beast at all. You definitely need to grab w White Aoud sample from STC ;). I will look into your Montale reviews a little bit later. 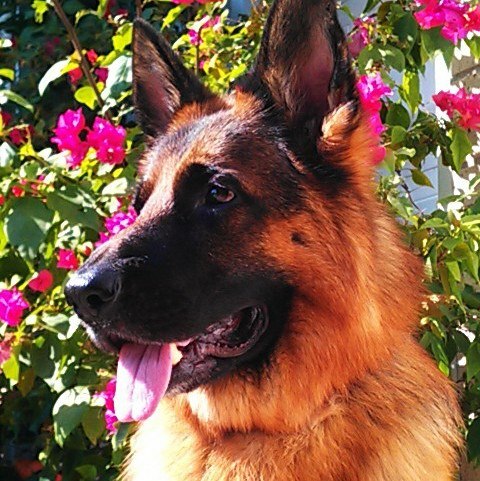 Sorry, that cute dog in your picture mislead me. I use sir only from sympathy. If they last that long this is a line I need to sample. I don’t want to smell like road kill though so perhaps I should avoid their ouds. Are you another one whose body voraciously consumes even the strongest and most potent perfumes? On me, Aoud Cuir d’Arabie definitely didn’t smell of road kill. And the prior Aouds (Aoud Lime and Aoud Blossom) certainly didn’t. They were… *shudder* just synthetic chemical explosions of incredibly screeeeeeeeeeeeeeeeeeeeeeeeeeechy magnitude, over a linear note of lime, roses and medicinal horror. The non-Aoud, Oriental Flowers, was almost as bad. Just recalling those 3 makes me shiver. But Lime Aoud… sweet God above, it was the worst thing I have EVER smelled in my life. And I couldn’t get rid of it, even after a shower. I had to wash my clothes. And I could still smell traces of it. The horror of my two attempts to try that perfume… I truly can’t even begin to convey it properly. I *so* want to try Lime Oud because of how horrible you say it is! Thank god I’m not a cat, curiosity would have killed me by now! I would be happy to toss in what I have left of the 4 By Kilian Arabian Nights ouds but those vials were only like 1/2 full to begin with and most have just enough for a dab, so it is probably not worth it to you. But I am *SO* sending you the Montales! I’ll wait until I get the decant sample stuff sent to me so that I can send you my beloved Elixir de Merveilles too. I can’t think of anything else that I have that may be up your alley but, if you can think of anything, let me know! Thanks! You really don’t have to if it’s a burden, but of course I will try anything and everything. It goes without saying [Sidenote: “Well now I’m saying it!” [/The Birdcage] ], I SO appreciate your generosity! It’s always such a fun experience, even when I don’t love the scent! Gosh, it’s been AGES since we quoted the Birdcage! I need to see if I can ever incorporate references to it in one of my reviews but somehow, “WhateMALen heat,” crucifixes for martyrs, and horses fleeing burning barns are things that don’t come up often in perfume…. I also wanted to add that the hairy German is quite handsome. LOL… I love the hairy German comment. Other than that, I’ll pass. 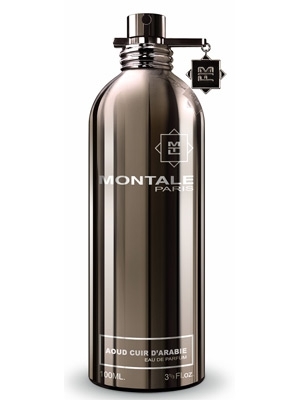 Montale does not work for me as well…nor do cold scents. I need fragrance to comfort, not repel. Thanks S! I’m glad you were patient with this one. It’s a hard fragrance to wear. I find it addictive after a few wears but its versatility is so limited that it is almost not worth it to get a full bottle. I am not sure if this is still in production. Allegedly, Montale has sort of disintegrated. Rumour has it the partners have split and are now doing things on their own. So, not sure if any of their fragrances will be around much longer. Great review. Really interesting stuff about Montale. It seems to be a house around which a LOT of rumours swirl. I came across something a few days ago which argued that there actually was no Pierre Montale and that it was all a myth, a front for some other chap entirely whose name was on some business or entity papers and who lived in the UAE. They argued “Pierre Montale” was so invisible as to be just a name, not a real person. And, they said, numerous threads and sites were discussing the house and its never-seen founder. The blog owner had done quite a bit of detective work, in fact. However, someone called Suzan then replied that she’d met him in Paris at the shop and gave a description. It all seemed very dramatic and I really hate drama, so I didn’t look into it further. Now, based on what you’re saying, it seems that there are two partners (at the very least). It’s sad that they seem to have split because there seem to be quite a few fans for the line. For the moment, at least, the website is up and still selling everything, including the Aoud Cuir d’Arabie. What else have you heard about the potential, rumoured demise of Montale? I haven’t heard the story about Pierre Montale not being a real person. I’m not sure why they would make up Pierre Montale. If it is for the cache of the French name, they can always hire a French perfumer to develop their stuff and promote their name. I heard the UAE guy and Montale were partners and they simply had different views of where the business should go. The UAE partner wanted to grow the line by releasing new fragrances every other month, while Montale apparently wanted a more tempered approach. A separate rumour has it that as the line became really popular, quite a few counterfeit products came to market. As a result they decided to kill it and start a new line called Tanelli. I find it funny that so many on Basenotes compare this delicious scent to dead animals and poo. It does make you wonder if these people are shut ins who live in some sort of biosphere where they only inhale air enhanced with floral notes. Montale’s Aoud cuir d’ arabie is actually quite a scent, which to me does not come of as “pink band aid” as some claim, but rather a somewhat boozy aoud/leather opening, which dies down into a very manly scent. If anything, it evokes images of riding a fine Arabian stallion, but not because it smells like a stable. This is the smell of a strong man entering a tent to visit his harem….